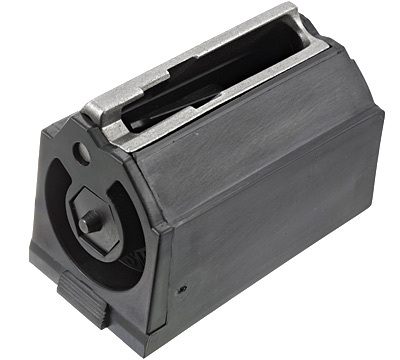 Black plastic rotary 6-Round, 17 WSM caliber magazine with steel feed lip. 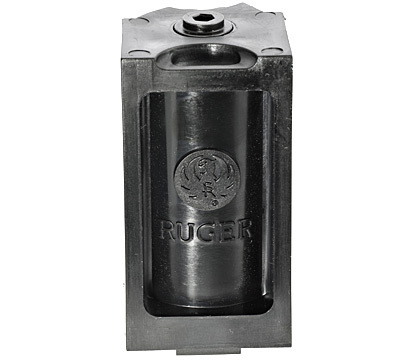 Fits the Ruger® 77/17® in .17 WSM. 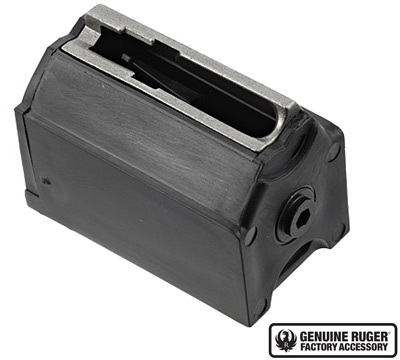 Ruger cannot bill to or ship this magazine to Connecticut; Brooklyn, Buffalo, New York City, or Rochester, New York. DO NOT ORDER THIS PRODUCT, if you live in these locations. Brand new ruger mag would not feed unless the front screw was backed off so loose it would almost fall out. Had two of these magazines and both are not feeding reliably. If I back off the socket head screw on the front it will feed, but then it is hard if not impossible to get into the receiver.